Lucy Faulks is a wellbeing expert and the founder of Elevate, where she delivers wellbeing programmes to SMEs and large corporations across the UK. 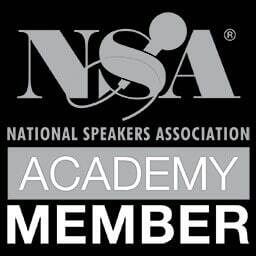 As a speaker Lucy Faulks specialises in mindfulness and meditation, resilience, emotional intelligence, happiness and mental health. Keynote speaker Lucy Faulks has taken several courses in Positive Psychology. Certified as a professional co-active coach, with years of experience coaching executives, speaker Lucy Faulks is ideal for bringing mindfulness and wellbeing to your workplace. Lucy Faulks has been teaching mindfulness and meditation for several years. Her previous clients include Mastercard, Lights of Soho, Crossrail, Berkeley Homes Group, Google Campus, Pure PR and Wework. In addition, Lucy is the author of Technotox – a blog and platform supporting emotional wellbeing in our complex digital age. With her work, Lucy Faulks stays down to earth and explores how we can bring wellness into our everyday lives. 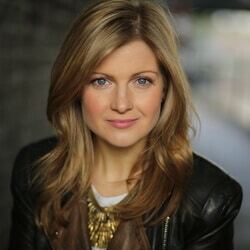 Book speaker Lucy Faulks for a wellness boost full of positive psychology, meditation and more. She brings her years of experience as an entrepreneur, executive coach and mindfulness teacher to provide you with a personalized talk that will effectively increase your wellbeing. Keynote speaker Lucy Faulks is the co-founder of Elevate – an employee wellbeing company offering consultancy and the curation and delivery of wellbeing programmes to SMEs and large corporations across the UK and globally. Their current clients include Mastercard, Google Campus, WeWork, AllianceBernstein, Berkeley Homes Group and the International Quarter London. Elevate takes a holistic approach to wellbeing incorporating all aspects of physical, mental and emotional health and offering workshops on resilience, stress management, nutrition, sleep, mental health signposting, emotional intelligence and musculoskeletal health. Keynote speaker Lucy Faulks has been teaching mindfulness and meditation for five years. Previous corporate clients include Google Campus, Mastercard, Lights of Soho, Crossrail, Berkeley Homes Group, Pure PR and WeWork. Lucy has written articles on mindfulness for publications including Everyday Mindfulness and MindSpace. 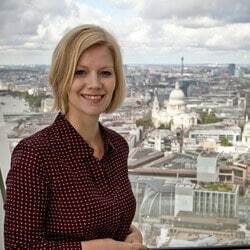 Keynote speaker Lucy Faulks specialises in resilience training and has trained thousands of workers across London through her resilience workshops which cover real-time resilience tools, short and long term resilience planning. The training includes challenging negative thinking traps, cultivating a growth mindset, using mindfulness to build self-awareness and using our personal strengths, support, insights and resources to boost our resilience. Clients include Teneo Blue Rubicon, Think Jam, AllianceBernstein and WeWork. 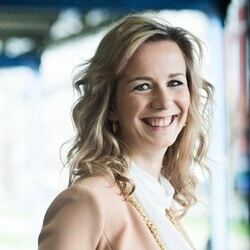 Keynote speaker Lucy Faulks is a CPCC Executive Coach who has worked with over 200 leaders, directors and high potential employees across the UK and globally. Lucy is a member of the ICF and John McKee and Associates in California. Where possible Lucy integrates her training in Positive Psychology, Emotional Intelligence and Mindfulness into her coaching programmes. Arming clients with a tool kit to build resilience, reduce stress and distractions, and manage their day to day thoughts and emotions more effectively. Increasing self-awareness, boosting productivity and motivation, and ultimately achieving optimum performance and results. Keynote speaker Lucy Faulks is the founder and Author of Technotox – a wellness centre for the mind. As well as the co-founder of Elevate – an employee wellbeing company offering wellbeing consultancy and the curation and delivery of wellbeing programmes to SMEs and large corporations across the UK and globally. Lucy is a founding member of GDST’s Entrepreneurs network and left a full time career in marketing to scratch an entrepreneurial itch in 2012.